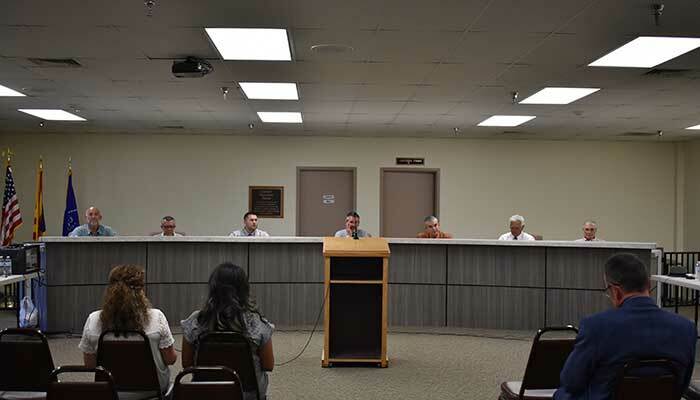 Safford – The Safford City Council held their first meeting in the newly remodeled council room in the Safford City-Graham County Library Monday night. The council room has new carpeting and a new rostrum for the council members. The council meeting started with a public hearing regarding the budget and tax levy for the City of Safford Fiscal Year 2018-2019. The proposed tax levy would set the primary property tax rate at $0.5135. That would amount to a property tax levy of $51.35 on home valued at $100,000. There were no comments from the public. The council will convene a regular meeting to adopt the tax levy on Monday, June 25, 2018 at 6:00 PM. 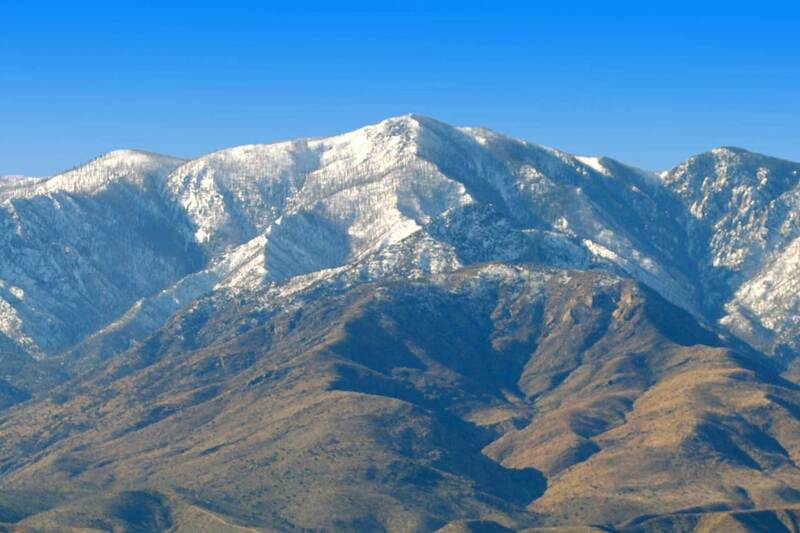 The council approved an intergovernmental agreement between the City of Safford and Graham County for dispatching, centralized radio communications and Wide Area Network services for the period of two years, ending June 30, 2020, in the amount of $412,658 for the first year of the contract. The agreement also covers the animal control shelter for the City of Safford for the same period, in the amount of $64,882 for the first year of the contract. The city and county staffs have sought to find ways to jointly share similar services in order to avoid duplication and unnecessary expenses. The two contracts are examples of this cooperative effort, which reduces the overall cost to the residents of the city and county. The council also approved funding to send a group of Safford High School students to the annual Arizona League of Cities and Towns Annual Conference Youth Program in August. City Manager, Horatio Skeete said the cost last year was approximately $500 – 600. The council approved the measure and indicated they would like the students to report to the council after the trip. The council heard a presentation by Mark Reader of Stifel, Nicolaus & Company, who outlined a proposed debt structure for current and future debt incurred in the water division. The financing plan Reader proposed would provide funding for water infrastructure improvements. The budget for the upcoming fiscal year calls for $4.8 million of capital improvement and replacement and $20 million over the next five years. The council authorized city staff to apply for a loan through the Water Infrastructure and Finance Authority, not to exceed $5 million. A resolution amending the criteria for the per diem paid to members of the Council. The amount of per diem remains $30 per day. Previously, Council members were only paid for business conducted outside of Graham County. The change allows Council members to be paid for business conducted locally with a a cumulative total of two or more hours per day. The council approved an amendment on a land exchange agreement and deed restriction on a parcel of property on the corner of Highway 70 and Central Avenue in Safford. The property was slated for a hotel in 2007 and a slab was poured for the project before being abandoned. City Manager, Horatio Skeete told the council that the current deed restrictions made it difficult for the property to be developed into anything else. Easing the deed restrictions placed on the property 11 years ago would open it up for other development possibilities. The council also approved an agreement between the City of Safford and the Town of Pima for the service of fire trucks for a three year term, effective July 1, 2018 to June 30, 2021. The proposed intergovernmental agreement will allow the City of Safford to provide labor, equipment and materials to service and repair the Town of Pima’s fire trucks. Pima will pay the hourly rate for labor and the cost of parts. The council also approved a three year agreement with Inframark for the sampling of wells and awarded the construction contract for the Church Street Water Main Upgrade Project to CNB Excavating of Dewey, Arizona.